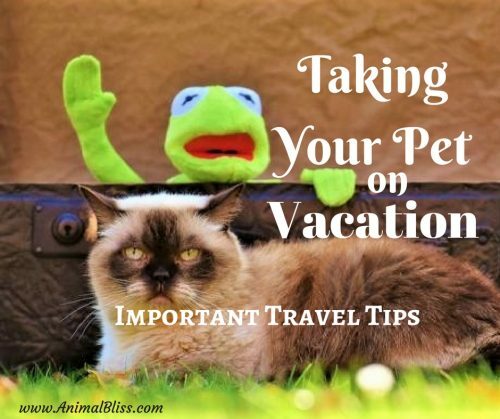 Are you planning to go on taking your pet on vacation with you? You should know some essential travel tips before you go. Bringing your pet with you on holiday is much easier than it used to be, as lots of hotels are now accommodating pets traveling with their owners. But there are still a few essential rules to you should follow. If you’re planning to visit National Parks, check local laws regarding pets. 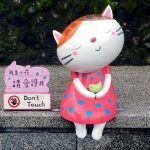 You might not be able to walk around with your dog, even with a leash, because of possible interactions between your dog and the local wildlife. You should also make sure that your pet is in good health before you take the wheel. 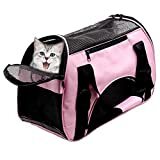 Take her to the vet first to check if she’s up to the challenge and if she doesn’t suffer from any ailments that might prevent her from going with you. You should also get her vaccinated and bring along her health certificate. Purchasing a collar with an ID tag that contains your name, address and phone number would be a good idea in case your pet gets lost, and someone finds her. 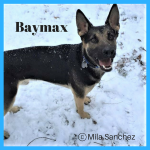 Look for a reputable pet sitter, a kennel, friend or family member to keep your pet if she won’t be accompanying you on your holiday. 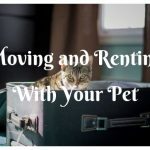 You want to make sure that your pet is safe before you go, and it’s always better if someone can pet-sit your dog or cat in your home because any new, strange environment can stress her. You should give your pet sitter clear instructions on how to care for your pet and write down your vet’s phone number. Most airlines accept pets, but you should check their guidelines first. Don’t forget that flying can be a challenge, particularly for breeds with breathing difficulties such as bulldogs. 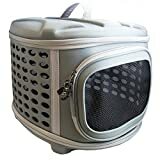 This can be a big issue if your pet must travel in the cargo hold, as ventilation is limited there, and the barking of other dogs and strange noises coming from the plane can be very scary for animals. 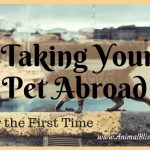 You can travel with your pet if she’s small enough. Unfortunately, she will be treated as carry-on luggage, and you’ll have to place her under your seat. 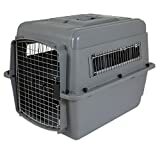 This can be frustrating for your pet and you, but it’s still better than the cargo hold because your dog or cat can be close to you. 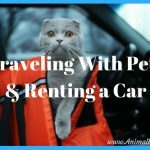 Taking your pet on vacation in a car is much easier, although your pet can get car sick. You should go for a test drive before you start a long journey to the other side of the country. Make sure your pet isn’t jumping around in the vehicle or impeding your movements, especially if you’re the driver. Your pet should be leashed securely or travel in a pet container to prevent accidents. NEVER leave your pet alone in a hot car, or she could die from heatstroke. Sadly, hundreds of pets die this way because their owners leave them in the sun. Always bring water and fresh food, and stop once in a while so that your dog can relieve herself. You should always make sure that your pet is well-behaved once you settle into a hotel. If your pet is a bit rowdy or barks a lot, don’t leave your room without leashing her. 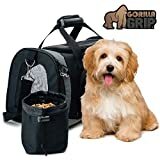 You will have to maintain discipline over your pet if you don’t want to get kicked out of the hotel or if you don’t want other guests to complain about you. A holiday can be stressful for any pet, but if you plan things carefully, both you and your fluffy friend can have a great time together. 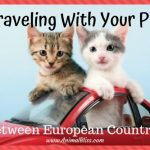 Are you considering taking your pet on vacation with you anytime soon? Many people leave their pets in hot car at summer and they can’t do anything. We all should be more responsable and ask ourselves how it would be for us to stay in a hot car. Thanks for your tips.